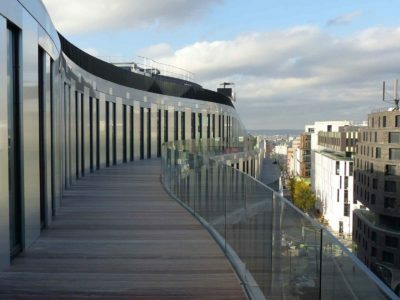 Home/ News/ An outstanding achievement of glass railings! 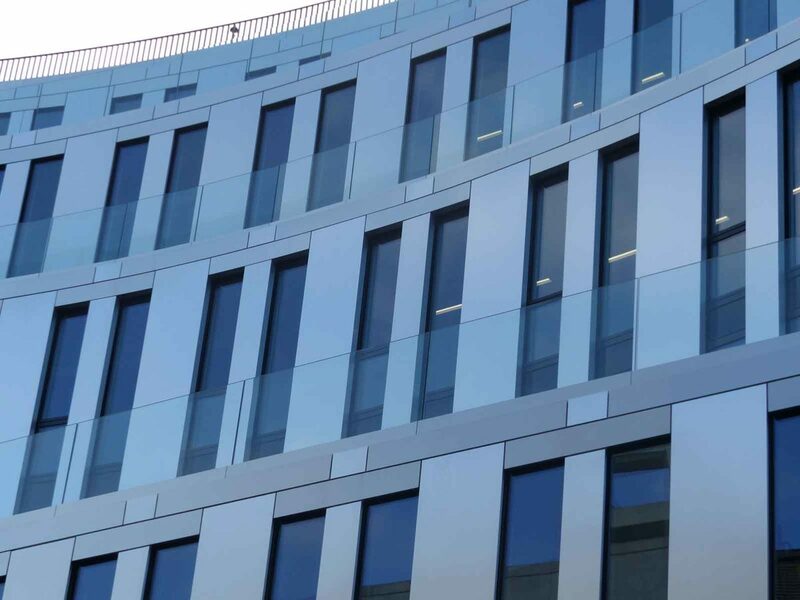 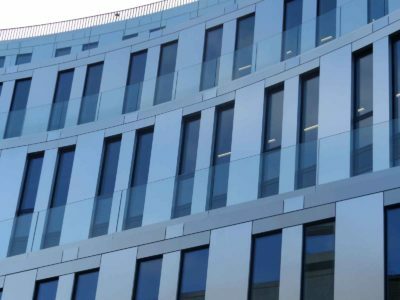 Discover this achievement of glass railings installed on an office building like no other. 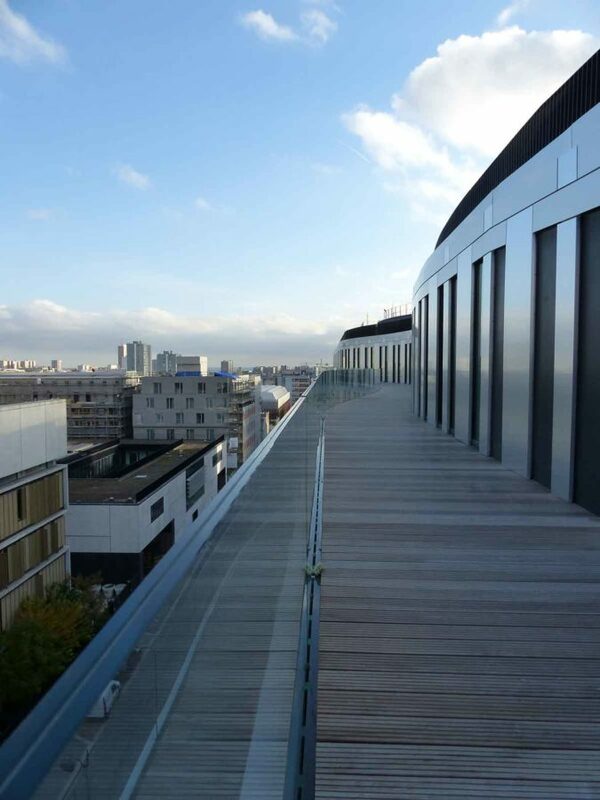 This peerless building called “View” is a building of 22 500 m² located in a dynamic tertiaty centre in the 20th arrondissement of Paris. The façade of this building signed by the architect Baumschlager Eberle is curved with two wings and organic forms. 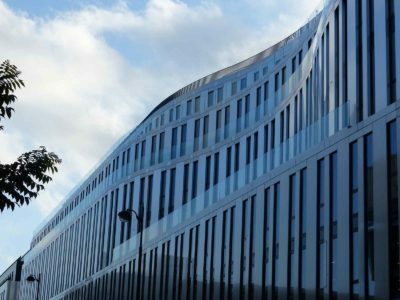 The glass and metal panels that are part of the 140 meters building façade are bringing an incredible look to this office building. A Glass Railing is a safety guardrail that offers a clear view on landscape while insuring the safety of its users. Those glass railing from our product range GARDA® F are fixed with Sabco from Sadev profiles* and are made of 10.10/3 toughened laminated glass and 10.10/4 curved laminated glass. 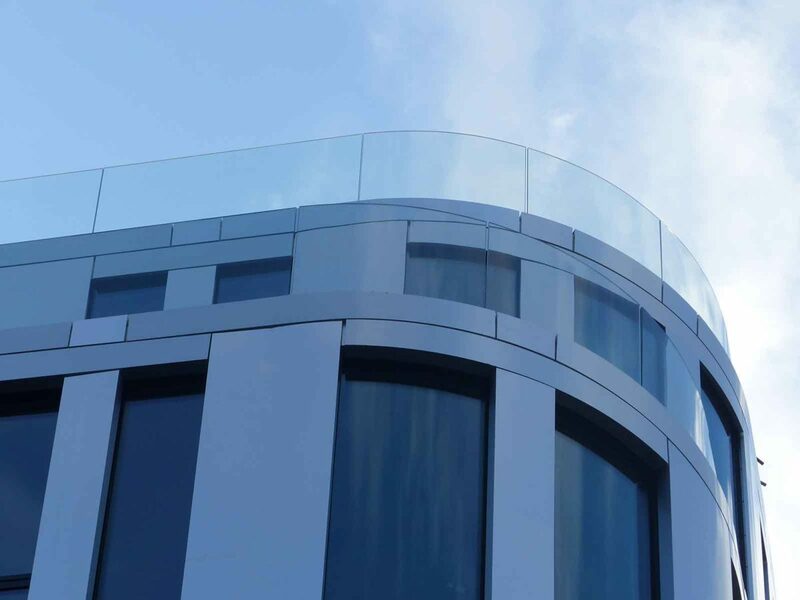 Lastly, laminated glasses that were used for the production of glass railings are produced with hydrophobic EVA films that are moister resistant. 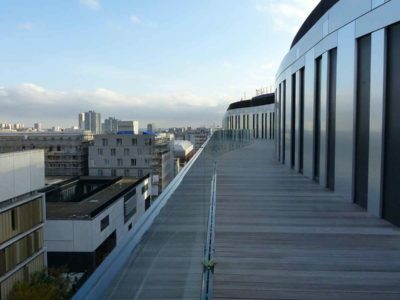 These glass railings can be built outside and do not present any risk of delamination over time. 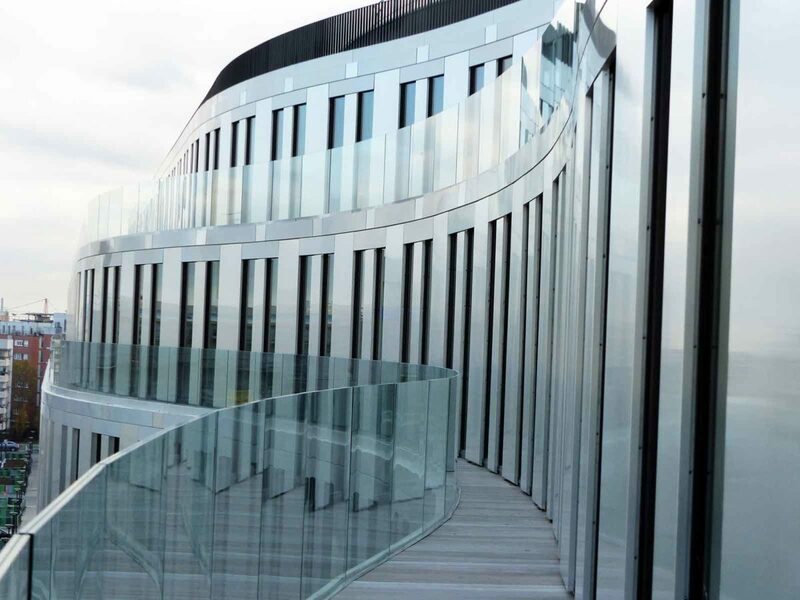 Discover our glass railing product range GARDA®.